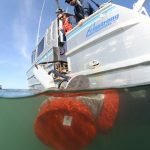 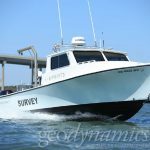 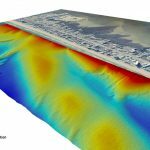 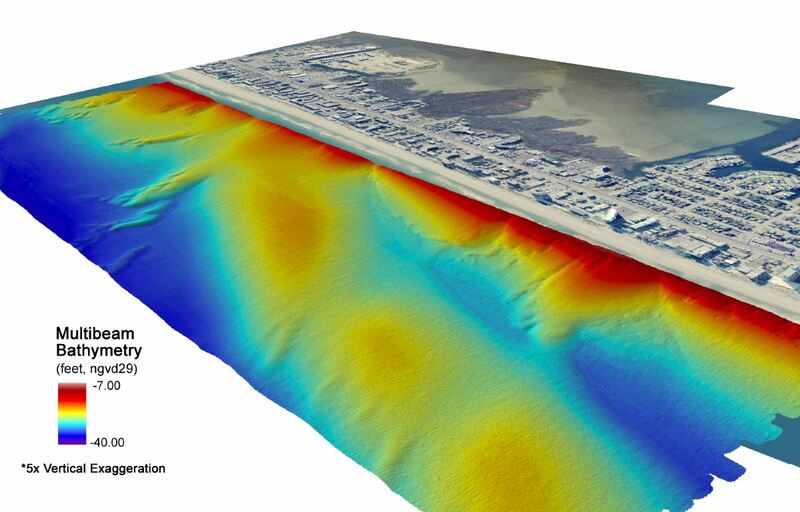 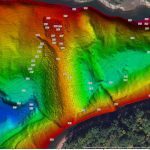 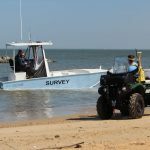 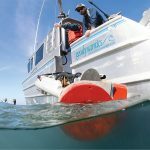 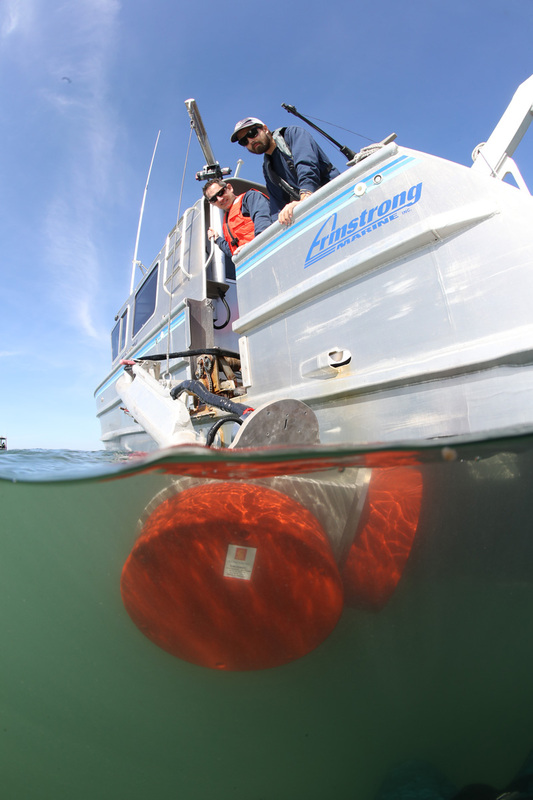 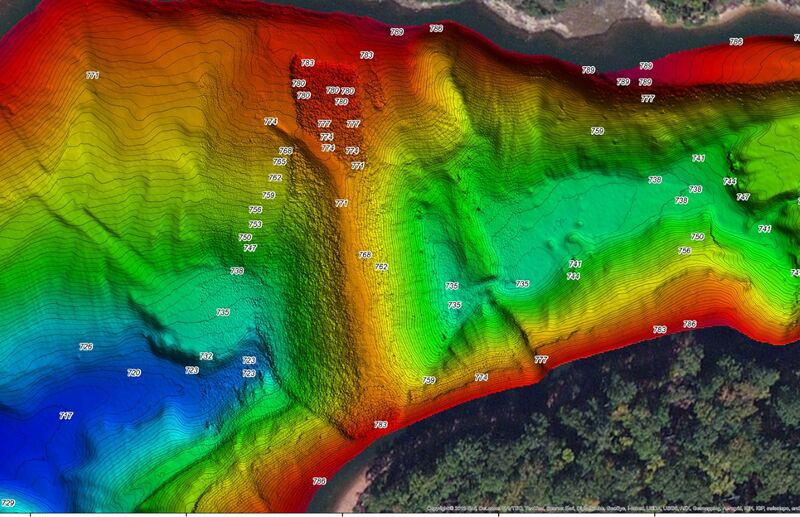 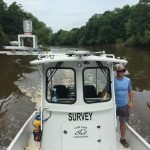 Geodynamics | Surveying the shoreline in ocean isle. 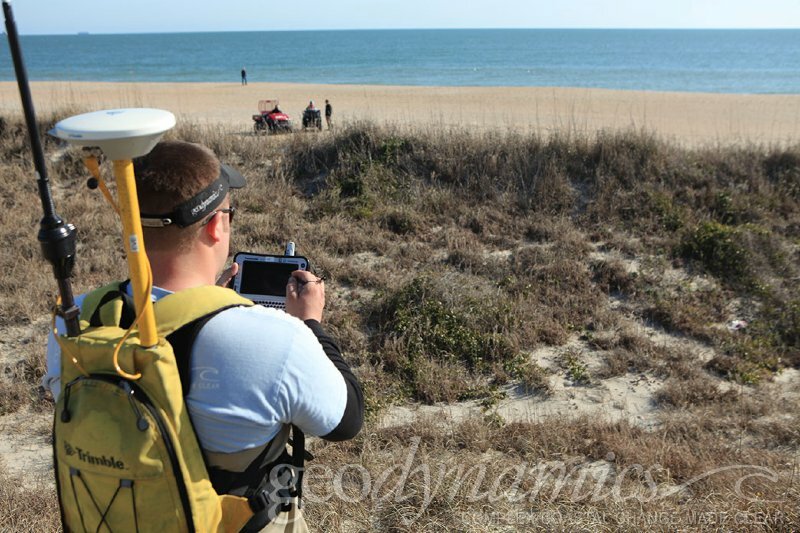 Surveying the shoreline in ocean isle. 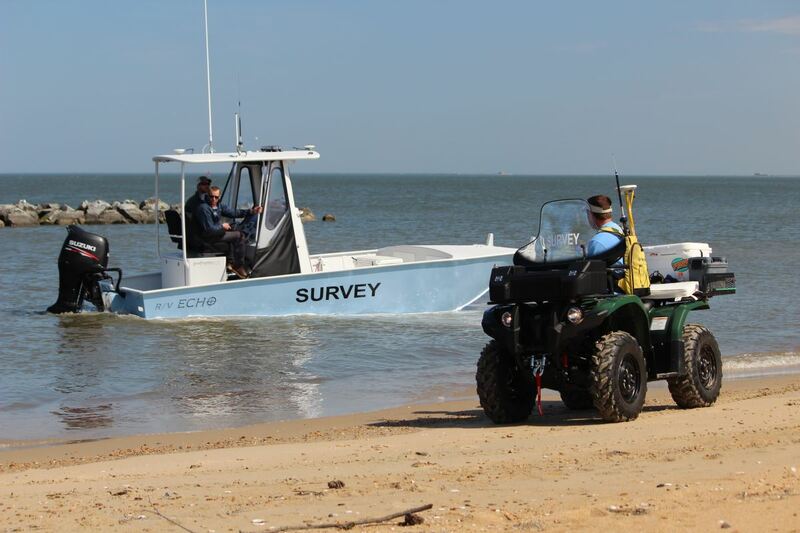 Man operating survey equipment on the shorline of Ocean isle.